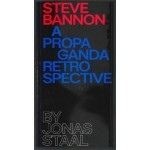 This publication — which accompanies the exhibition project Steve Bannon: A Propaganda Retrospective by artist Jonas Staal, curated by Marina Otero Verzier — offers an overview of the artistic, cultural, and political work of Stephen K. Bannon (Norfolk, Virginia, 1953). Bannon is best known as the campaign manager and later as the Senior White House Advisor for US President Donald Trump, as well as former editor-in-chief of Breitbart News — the self-declared home of the so-called alt-right. Less well known is Bannon’s work as a filmmaker, which saw him direct nine documentary film-pamphlets between 2004 and 2016 in a style he has termed “kinetic cinema.” His films sketch a grim profile of a world on the brink of disaster, beset by economic crisis, secular hedonism, and Islamic fundamentalism. In Bannon’s films, “strong” leaders such as Ronald Reagan, Sarah Palin, and Donald Trump emerge as the sole defenders of white Christian faith, military might, family values, and economic nationalism. 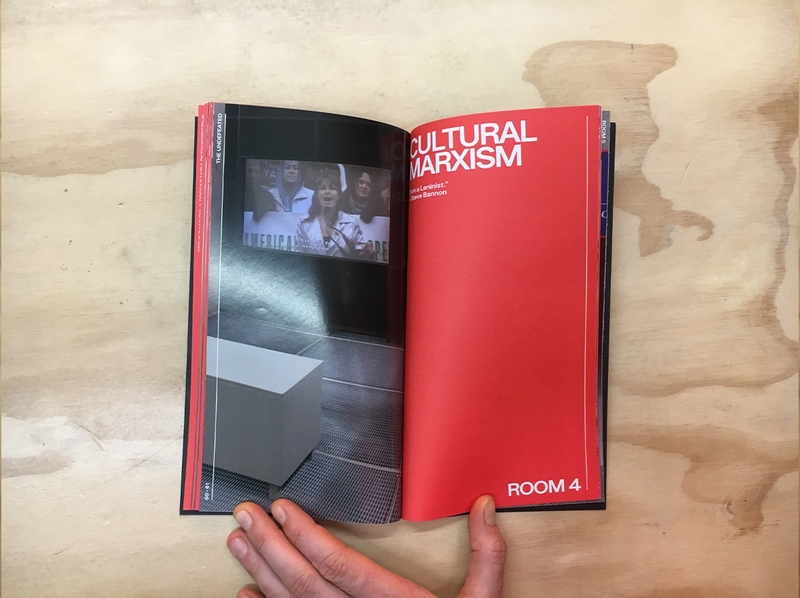 This publication documents the exhibition-project and aims to show how Trumpism was decades in the making through Bannon’s propaganda work. It therefore provides an example of the importance of propaganda art in the surge of the international alt-right. 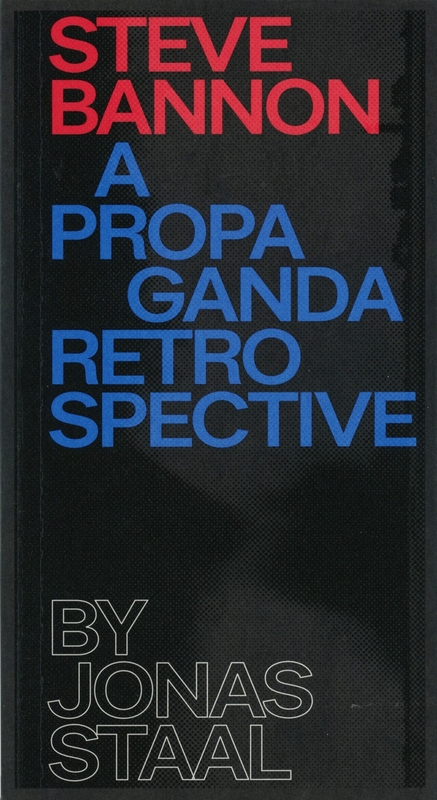 To illustrate this, the publication analyzes and deconstructs the mechanisms of propaganda and raises the question of how to create counter-narratives in the form of an “emancipatory propaganda art. 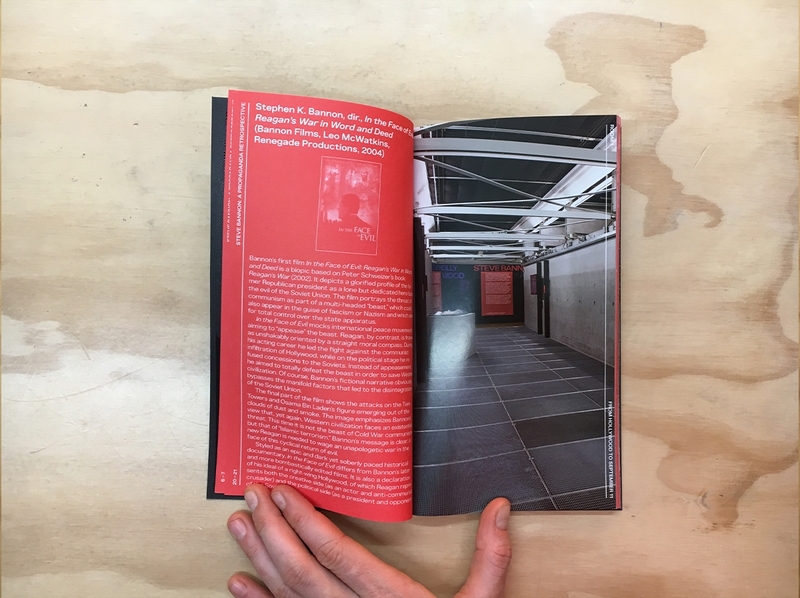 Jonas Staal is an artist, propaganda researcher, and founder of the artistic and political organizations New World Summit (2012–ongoing) and New Unions (2016–ongoing). 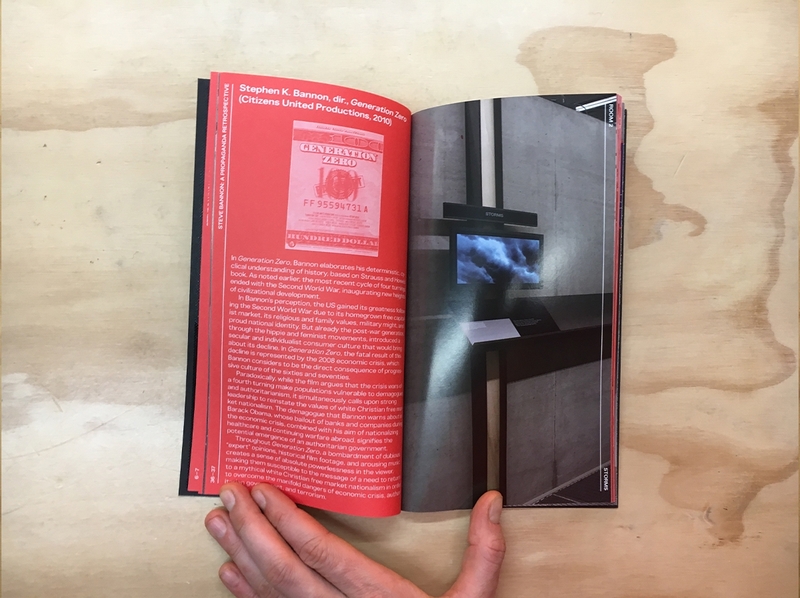 Marina Otero Verzier is an architect, curator, and Director of Research at Het Nieuwe Instituut, Rotterdam.